"...one of the greatest clarinetist, concert generous, outstanding talent..." so the critical speaks about Piero Vincenti. Was educated at the italian school of Ciro Scarponi. Appeared in public very young with very challenging recitals, showing a lot of first performances, many dedicated to himself. Played as a soloist and in chamber music in the most important theaters and Festivals in Europe, USA, South America, Asia. Welcomed everywhere with entusiastic support of public and critical was marked by his innate instrumental ductility. Plays all the clarinet family: from to the piccolo E-flat, to the G clarinet and basset horn, until bass clarinet and contrabbass, also all in the same concert. Many important his cooperations with composers of size as: L.Berio, S.Bussotti, F.Donatoni, J.Francaix, G.Petrassi, S.Sciarrino, who situated among the most refined interpreters of the modern and contemporary music repertoire, and not only, also in international concert view. Founded Italian Clarinet Consort, natural evolution of Clarinet Ensemble of Ciro Scarponi, born in 1980, where parteciped like piccolo E-flat and clarinet soloist, ageding a thirty-eight years of experience in the clarinet choir. Collaborated like a soloist with many orchestras, in Italy, Europe and South America. Realized radio-television recordings and records. Is member of jury in National and International Competitions. Leads Masterclasses in Italy, Europe, USA, South America, Asia and Professor at the National Conservatory of Music "B. Maderna" of Cesena (Italy). In july 2014 in the “Principe de Asturia” International Summer School in Oviedo the Spanish Queen Lady Letizia met him during his course of clarinet. Participated in many ClarinetFest, (2011-Los Angeles, 2012-Lincoln, 2014-Baton Rouge, 2015-Madrid, 2018-Ostenda). Recording with Marsida Koni 2 world premiere: “The complete works for clarinet and piano” of A.Magnani and “Ernesto Cavallini, the Prince of the clarinet”. 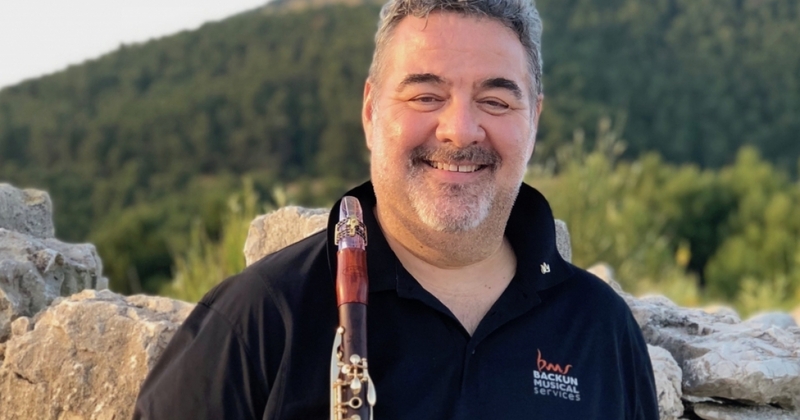 Piero Vincenti is Backun Artist and plays Backun Model F Clarinet cocobolo/gold, Silverstein Ligature CRYO4 and a Pomarico Crystal Mouthpiece.